Such a great feeling. And the words THE END (for the first draft) came 9 years to the day after I typed the first 1300 words in the novel. I started it in 2007, around the same time as I'd begun another novel, Lost in the Woods, for which I'd typed THE END only a few months ago, back in October. These two books seemed to be in orbit around each other from the beginning, though they are completely unrelated. LitW will be the next G Daniel Gunn horror novel, whereas PoL is another, slightly biblical-themed, DGK novel. Locusts is a science fiction book, taking place in 2169 on a planet called Toojay (it's a phoenetic spelling of its designation). Back in '07, I wanted to write what I often like to read: sci-fi. I'd read Orson Scott Card's book on writing science fiction and took what he suggested to heart. I built the universe the story takes place in. To do that, I had to outline the history of mankind from modern day until the moment of the story, basically 160 years. The plot itself is pure SF, but running through it is the question of what happens after the feared apocalypse happens. Not with zombies, but Armageddon, two thirds of the world wiped out in the Final War. And how would God build a new Earth? It's NOT, in any sense of the word, a Left Behind type of book. In fact, funamental Christian readers will probably hate it becase, well, life went on. The Church survives, though changed, and the long running animosity between religions is gone. Forcibly, but still gone. Live with each other, or don't live. That's all running in the background. In the forefront, it's a pretty original sci-fi novel if I do say so myself. The idea for it was spawned years before when I was stuck in a two hour meeting at work in which I had no real participation. To stay awake, I pretended to take notes, but in reality was writing a scene from a story - whatever came into my head. Years later, I found my little notes, and aside from very minor tweaking, it ended up as my first chapter. I just went on from there. When I finished the first draft of ...Woods, I decided since these two were traveling the same road for so long, I put it aside and focused on finished the first draft of ...Locusts. Now that I'm done, I'll pick up one or the other and begin the long, but enjoyable (to me) process of revision. Both of these I'm going to bite the bullet with and try to get an agent or major publisher interested, before anything else. Sci-fi's a decent market. Locusts, I think, is going to be the first of likely other books in an overall universe of book I'm going to label the Vast Array series. Exciting, and like I said, such a wonderful feeling two words can create. 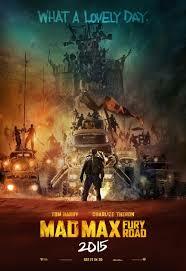 So every January we at Cinema Knife Fight list our favorite movies of the past year. Click here to read my 2015 Movies in Review! I admit I missed a lot of movies last year, but saw a lot of great ones (and some bad ones, which I also touch upon).... I hadn't yet seen THE REVENANT or THE VISIT when I wrote this. If I had, one or both would have made the list, I'm sure. So here, my annual list of books read. I did pretty good in 2015. One thing I decided early on was to go back to some classics I hadn’t yet read. Dracula, by Bram Stoker, was interesting. I hadn’t realized it was all in diary entries and letters. Quite well written, and for its time fascinating. Seemed to dwell a lot longer on the repeated attacks and slow death of Lucy, Mina’s friend. But overall a fascinating and elaborate book, with writing that was not too thick as was common in its time. I also continued my catch-up of early Stephen King novels. In 2014 I’d finally read ‘Salem’s Lot, and this year it was The Shining. Having seen the Kubrick film, I was fascinated to read the original novel and was wowed by it. Some of the haunted house elements were a little predictable (though at the time it was probably fairly fresh) but many were quite original, and the sense of growing dread in the novel was light years above the film (which, itself, was tremendous). Two of my favorite novels of the year, I’m very happy to say, were written by authors I am friends with, but these completely blew me away as a reader. 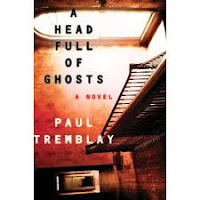 Seven Forges by James A Moore, A Headful of Ghosts, by Paul Tremblay and The Last Policeman by Ben H. Winters. Seven Forges was such an incredible, original and fast-paced high fantasy novel I couldn’t put down. Great characters and unique setup. Probably the fastest I’d read any novel. I also read the next in the series, The Blasted Lands which was a great continuation and setup for what’s going to prove, I’m sure, to be an explosive third installment (I think Jim’s up to 5 now). Tremblay’s A Headful of Ghosts, scared the crap out of me! I had to stop reading it at night because it was giving me nightmares. It was a very clever setup, and he even got a shout-out from Stephen King on Twitter. Can’t do better than that. 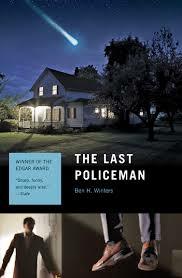 Finally, The Last Policeman by Ben H. Winters, part one of a three part detective series, set in modern day, but in the months leading up to the complete annihilation of the human race by an asteroid. I loved this story, and seeing – more in the background in part one – how the world slowly devolves in the face of extinction while for others, it’s business as usual. 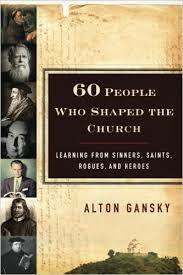 Two of my favorite non-fiction books were 60 People Who Shaped the Church: Learning from Sinners, Saints, Rogues, and Heroes by Alton Gansky, covering – very briefly – some of the most influential figures in church history. Gives a great overview of the Christian church’s growth (or not) over the centuries. 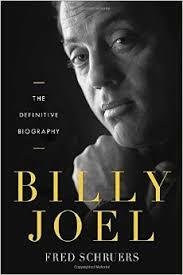 Billy Joel (biography) by Fred Schruers was a Christmas gift in ’14 and when I began it – being a major fan of Joel over my lifetime – found it riveting, and surprising in a number of aspects of the singer’s life. (Veda Dalsette has changed her author name way too many times but always writes fun, VERY unique novels filled with humor, the 60’s and left-of-center characters. Check this one out).